"The ladies of Pollaiolo": a famous painting now in Milan! In Milan there is a new interesting exhibition not to be missed: “The ladies of Pollaiuolo. A Florentine atelier of the Renaissance” that will be hosted by the Poldi Pezzoli Musem ! The real protagonists of the show are the four female portraitspainted by brothers Antonio and Piero del Pollaiuolo that for the first time in their history are next to each other that come to the museum of Berlin, New York and Florence. Besides this beautiful painting it is possible to admire other masterpieces by Pollaiolo brothers such as paintings, drawings, sculptures, jewellery, embroidery and curios works from the Museum of Louvre of Paris and the National Gallery of London such as a crucifix made by cork and many more. This Pollaiolo exhibition is extraordinary and has a great emotional impact and is hosted in one of the most beautiful historic house museums Milan, the Poldi Pezzoli Museum. The Poldi Pezzoli museum is worldly well-known, created by the Milanese art collector Gian Giacomo Poldi Pezzoli (1822-1879) and was opened in 1881. In the museum you can find paintings by master such as Mantegna, Raffaello, Piero della Francesca, Botticelli and many more and collections of works of art: clocks and sundials, textiles, jewellery, arms and armours, glass, porcelain and furniture. 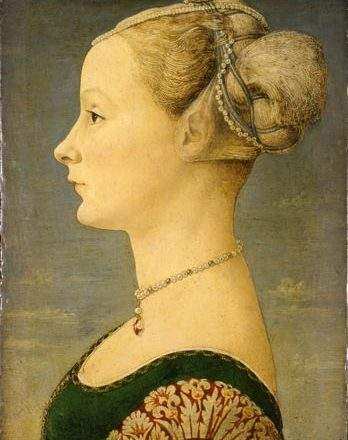 The Museo Poldi Pezzoli Milano organizes lots of events related to the exhibitions hosted such as conferences, concerts, guided tours and laboratories for children. Do you know that with MilanoCard you can have -33% discount on entrance ticket of the Poldi Pezzoli Museum? With Milanocard you have also 25% discount for the house-museum cumulative ticket (Poldi Pezzoli Museum, Villa Necchi Campiglio, Bagatti Valsecchi Museum and Boschi di Stefano house museum). Discover more about house museums in Milan ! Don’t miss the opportunity to see this great exhibition during your visit of Milan!